This story is available in Welsh. Record numbers of submissions to the 13th Programme of Law Reform consultation – over 1300 responses covering 220 individual suggestions. Updated figures which show that seven out of every 10 (69%) Law Commission reports have been wholly or partly implemented or accepted over the past half century. The appointment of our Chief Executive during the reporting period, Phil Golding. 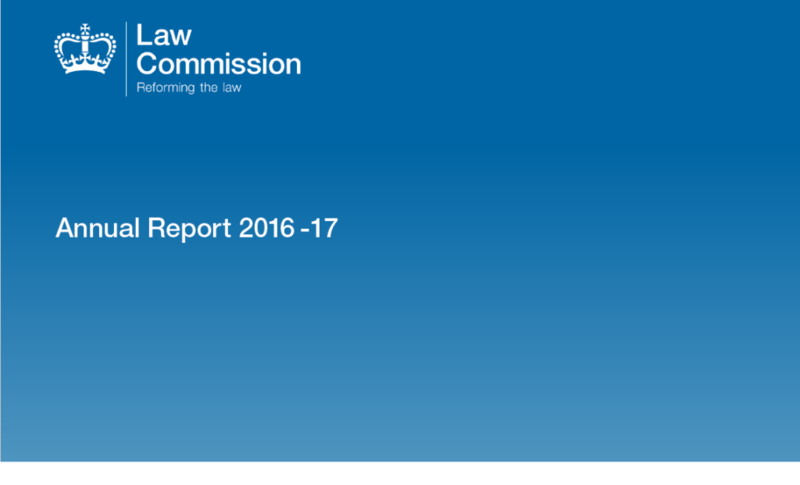 Download the Law Commission’s Annual Report 2016-17.